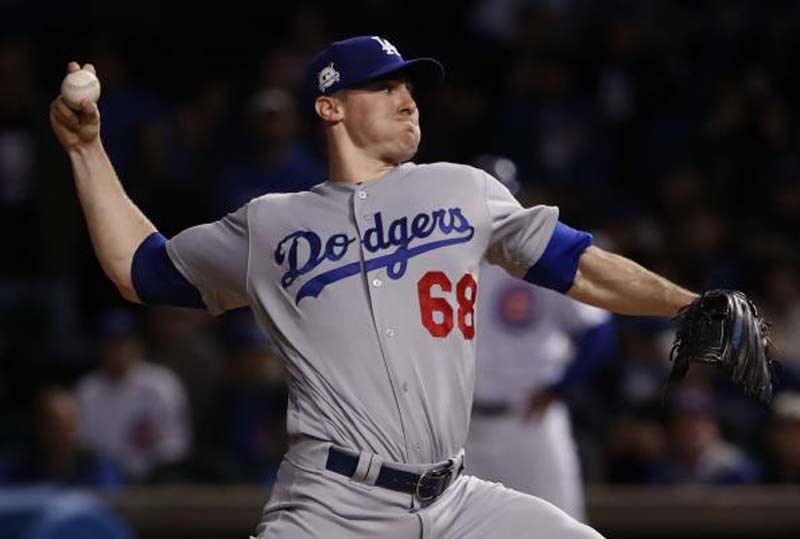 Los Angeles Dodgers right-hander Ross Stripling knows he will have to weather the early going Sunday if he wants to get back to his winning ways. Stripling will face a Colorado Rockies team that is known for fast starts. The Rockies lead all of baseball with 70 runs scored in the opening inning. They also lead the majors with 24 first-inning home runs. The Rockies are focused on trying to counter the Dodgers' offensive muscle. Manager Bud Black is preaching to his pitchers to be aggressive. "We knew coming in (the Dodgers) had power,'' Black said. "We know that you have to keep the ball out of the middle of the plate. We have been attacking them and going after them to get into more favorable counts. That's the message we send to all teams and we have to do it again (Sunday)." Keeping opponents in check early is one of the many things Stripling has excelled at during his breakout season. The Texas native has allowed one first-inning run in his 11 previous starts, and two extra-base hits. Rockies starter Chad Bettis also must prepare for a potential volatile first inning. Not only do the Rockies score a ton early, they also have given up 70 runs in the first inning to lead the majors. Their 21 first-inning home runs allowed are second-most in baseball. The good news for Colorado is that they are on the road where runs and long balls are harder to come by than at Coors Field. And Bettis is the perfect example. Bettis 5-1 overall with a 5.07 ERA, with all his decisions coming on the road, where he has a 2.72 ERA. At the start of play Saturday, Bettis' five road victories were tied for third in the NL. He posted his sixth quality start on the road Tuesday at San Francisco, but did not get a decision. There is added pressure on Bettis after the Rockies demoted Opening Day starter Jon Gray to Triple-A Albuquerque on Saturday. In 17 starts this season, Gray was a disappointing 7-7 with a 5.77 ERA. "This was the right time to get Jon to Triple-A to work on some things, not so much mechanically, but mentally, and to realize the inconsistencies that have been happening this season," manager Bud Black told The Denver Post after the Rockies optioned Gray. Stripling has been a bit more consistent. In his past three outings, he is 1-1 with a no-decision. He beat the Giants, then lost to the Cubs despite giving up only three runs on June 20. Six days later, he went five innings and gave up one run in the no-decision. "He's been fantastic," Dodgers manager Dave Roberts said of his starter. "For him to not be as sharp as usual and to keep (the Cubs) to one run in five innings is a credit to him. He gives us a chance every single time he takes the mound. He's done more than exceed our expectations." After rolling through most of June behind an offense that hit a franchise-record 55 home runs for a single month, the Dodgers have looked less invincible in recent days. They split a four-game home series against the Cubs and now have lost two consecutive games to the Rockies. The Rockies will not look back at their overall June play so fondly, but they ended the month on a three-game win streak. Colorado went 11-16 in the month. Nolan Arenado was a bright spot as he is the reigning NL Player of the Week. Arenado had home runs in seven of 10 games before play Saturday, a run that included a homer in four consecutive contests.